Reunion Golf & Spa Resort, one of the Kingwood International Resorts, is the only resort in the world where you will find three outstanding signature championship golf courses designed by the greatest legends of the game and designers Arnold Palmer, Jack Nicklaus and Tom Watson. Located in Kissimmee, Florida near the attractions, Reunion is the complete package when it comes to golf or just a family vacation. The resort features luxury accommodations ranging from 700 to 10,000 square feet, featuring villas, condos, multi bedroom homes(up to 20 bedrooms) or the eleven story hotel. 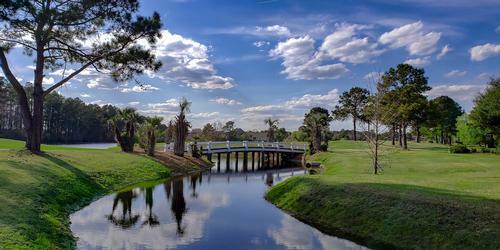 Visit www.ReunionResort.com to learn more. The three designs are very different from each other and always in immaculate condition. The Watson and Palmer play out of the main pro shop connected to the Hotel, while the Nicklaus is a short drive away, still on the property, with a brand-spanking-new clubhouse. 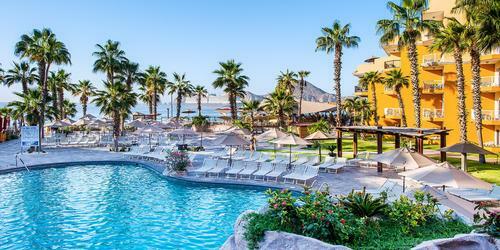 The one constant no matter which course you play or where you drop your bags is the exemplary service by the staff. The "Golden Bear," as Jack is known throughout the golf world, brought his unique perspective and design acumen to Reunion and has built a golf course which opened in 2007 as the "Tradition" and is a top favorite among guests and members at Reunion. The Jack Nicklaus Signature design course is a parkland style layout with generous fairways, smooth and flowing with long horizon lines, elevated tee boxes and greens, but can be as deceptive as it is beautiful. Designed to tempt players into hitting risky shots with potentially big payoffs, the course challenges the golfer to step up to the ball with a carefully organized series of shots in mind. Bunker complexes throughout the layout can cause some stress to a mild-mannered duffer like me, who had to use two hands to count his strokes numerous times. The practice facilities are on par with the quality of the golf course. A meticulously maintained 1,105 foot driving range and a 13,356 square foot putting green are provided near the clubhouse. In addition, the Resort has a five-acre dual-ended driving complex with a large teeing area adjacent to the Palmer and Watson courses with chipping, putting and bunker practice facilities. The newly opened 5,400 square foot Reunion Golf Academy sits at the back end of the driving range nestled near the 18th fairway of the Watson course. Under the direction of PGA Class A Head Golf Professional Jake Etherton, the Academy features private and group lessons, club fitting and the new Mizuno Shaft Optimizer system. The starter Ron gave us the lay of the land, the facility locations and the appropriate entry and exit to and from the fairways on this bearable 7219 yard layout with 74.8/140 ratings. 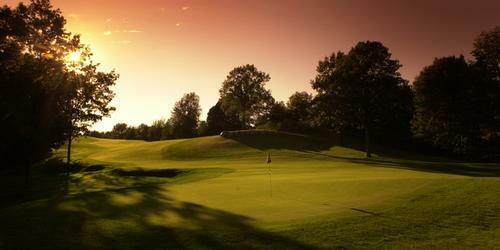 One of my favorite holes is the #1 handicap par 4, 2nd hole. With a howling wind in our face, our drives fell well short of our target, but did make it in the fairway. The opening to the green is guarded on either side by bunkers, so I laid up to inside 100 yards to insure I could play close to the pin and salvage par. The slightly elevated green has a lot of undulation, and when the ball landed, it found it's way to a low area on the green from which I two-putted. Still in all, a great risk-reward hole at 440 yards from the tips. The dogleg right par 5, 3rd is a bear. The right side has bunker after bunker and water beyond, so the best play is avoiding the right side. Again, the wind held our drives back and it took me 4 shots to reach the back pin placement on a narrow green. A one putt salvaged par. It is a great hole at 585 yards from the tips. 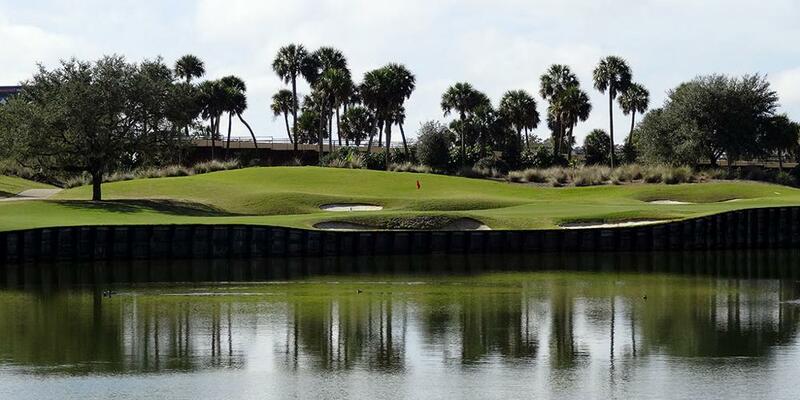 The signature hole, #16, is a par 3, 210 yard shot over water. It looks better than it plays. With a low flight trajectory, if I did make the green my ball would have continued through the green, so I bailed to the larger landing surface left of the green, from which I chipped on for a respectable four. 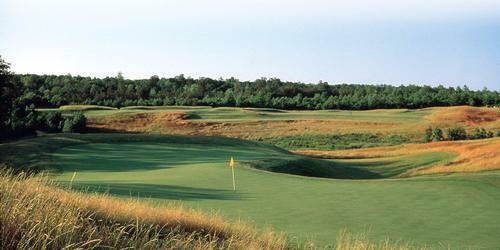 The closing hole presents a cavern between tee box and fairway approximately 150 yards across. Drives should favor the right side on this 570 yard par 5. The fairway slopes right to left with a waste area that continues almost to the green, which is small and tucked left of the fairway. Good luck. The folks on the patio of the clubhouse applauded as I putted out for a big number. Speaking of the clubhouse, the 12,000 square foot building features a panoramic view of the 18th hole that was rerouted to accommodate the clubhouse and the new ultra-luxury Bear's Den residential enclave. 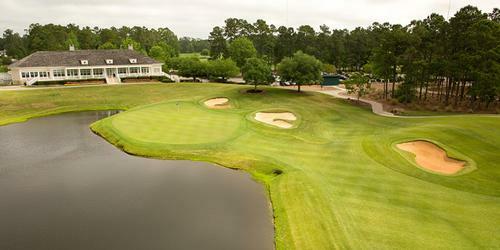 Located on over three acres, the Nicklaus clubhouse includes a state-of-the-art fitness center, men's and ladies locker rooms and showers, a golf lifestyle retail center, an event lawn for group functions and special events and an upscale sports bar, Traditions, with an open kitchen and outdoor terrace overlooking the closing green. The clubhouse was inspired by the rich heritage of Mediterranean Revival architecture in Florida and in particular the work of Addison Mizner. It features large French doors opening to terraces with dark wood roof overhangs, The roof is shaped with barrel tiles and walls of rough stucco that provide depth and texture, along with ornamental ironwork and cast stone window frames. The interior is a tribute to Jack and his masterful layout that includes furnishings, artwork and memorabilia related to Nicklaus' decorated career. "We are confident that every member and guest will enjoy this distinctive golf experience," says Reunion Resort's General Manager Kevin Baker. 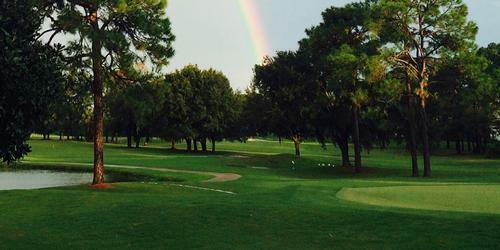 "It is always our desire to provide the best in service, facilities and playing conditions. This new Clubhouse provides an intimate and refreshing location to gather with friends and family, or share the triumphs of a day of championship golf." The Resort will be the host venue for the inaugural Kissimmee Family Golf Classic June 20-23, 2019. The 54 hole team scramble event is open to any combination of family members and will be a celebration of the familial bonds golf helps create. Kissimmee is a one-of-a-kind destination, providing easy access to world famous theme parks, incredible outdoor adventures and renowned cuisine. Get inspired at www.ExperienceKissimmee.com. "Kissimmee has so much to offer as both a golf and family destination, the decision to launch the Family Golf Classic was a natural one," said John Poole, Executive Director of Experience Kissimmee. "Golf and family are inextricably linked for so many players. It is a multi-generational game, allowing for special times spent with parents, grandparents and children in a fun and stress-free environment." "This is the first year of the event, and we believe it will grow quickly," added GM Kevin Baker. "The quality of golf, value and beautiful Kissimmee weather will make the Family Golf Classic a favorite yearly event."